Is layering up with heavy-duty skincare actually harming your skin? You may own the entire contents of Boots' beauty catalogue, but for a lifetime of great skin, binging on beauty is not the answer. Over-stimulating your skin with products too potent can lead to irritation and inflammation and overloading it with those too rich can cause acne. The most crucial step for healthy, glowing complexion? Use the correct ingredients that suit your skin age now in order to protect it for the future. Follow our handy guide below to find out what you should be adding into your regular skincare regime, when and why. Anticipate nothing but great skin all year long…. Vitamin C is one of the strongest catalysts of collagen growth (collagen keeps skin firm, taut, and resilient) when applied topically. There are different types, but the most effective is L-ascorbic acid. When should we start using it? Skin Aging Expert, Dr Marko Lens recommends incorporating Vitamin C into your regime as you turn 20. Hyaluronic acid (HA) gives skin hydration and plumpness, but our own HA production starts declining around age 23. By age 35, HA production has decreased by 20%. If you don’t use additional HA in the form of products, you’ll see dehydration and associated fine lines and wrinkles arrive earlier than expected. Be it a Haribo habit, Friday night cocktails or your daily latte, the sugar you consume can have a detrimental effect on your skin. Glycation is a process where the sugar from our diet produces free radicals. This may sound like a bad rock band but they’re actually molecules that damage skin by clinging onto collagen. This causes skin to become stiff and inflexible resulting in inflammation and lower ‘ping’ elasticity. Antioxidants neutralise the free radicals to stop this happening. As you hit your mid-twenties. 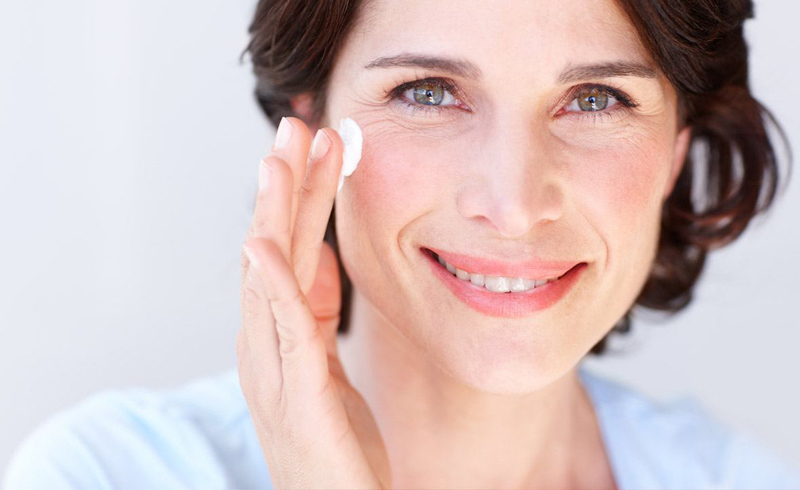 Skin’s cell turnover slows with age, so dead cells sit there for longer and cause skin to look dull. Retinol purges gunk and dead cell debris out of pores, sloughing away dullness to transform the skin's surface. Skin may become more sensitive with use and you’ll see some shedding, so start slow and steady. Use PM only, arm yourself with patience and wait three weeks for results. Dr Dendy Engleman recommends incorporating a retinol into your regime age 25 - the time skin cell turnover starts to slow. Nothing gets skin glowing better than acids. They work on the top levels of the epidermis, dissolving and breaking down the bonds between dead skin cells to reveal a new, baby-fresh layer. AHA's (alpha hydroxy acid) are best for dry skins, while BHA’s (beta hydroxy acid) suits normal to oily skin.